In January 2004, the owners of Trinity Galleries decided to hang up their working hats and enjoy their retirement. 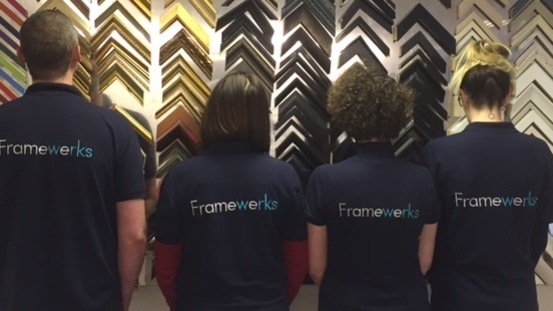 The framing department team and their manager of 14 years David Fricker, decided that they were having too much fun to stop and decided to launch Framewerks! 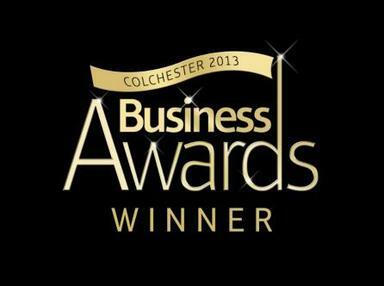 The team opened the doors to their first premises in February 2004 at the Cowdray Centre in Colchester. 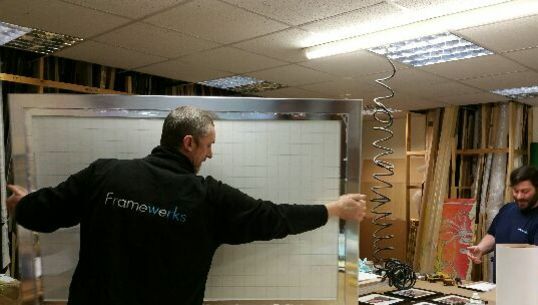 In March 2005, Framewerks moved from the original 450 sq foot workshop to a larger 900 sq foot premises. This was divided into a workshop and gallery/ exhibition space. This meant that the business could attract customers not only for their home or business framing needs, but also for the purchase of pieces of artwork and retail goods. Framewerks ‘Annus Horribilis’ occurred in July 2006 when the Cowdray Centre experienced one of the worst fires Colchester had seen! The amazing team spirit meant that new premises were found within 24 hours, suppliers offered the use of machinery and emergency stock and long standing customers rallied round. 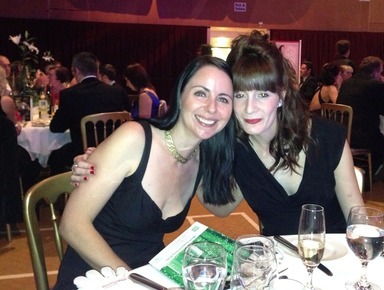 Framewerks hit the news several times over the next month. Shirley Bassey’s shoes were being framed for a charity auction and were safe inside Framewerks stores, but access into the Cowdray Centre had been denied. 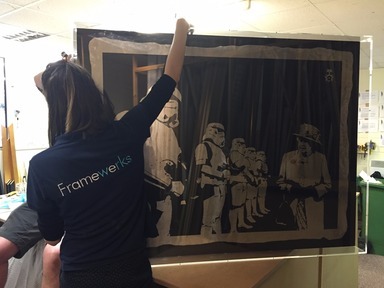 Framewerks has developed the business to serve not only the local community for their framing needs but the wider corporate market. 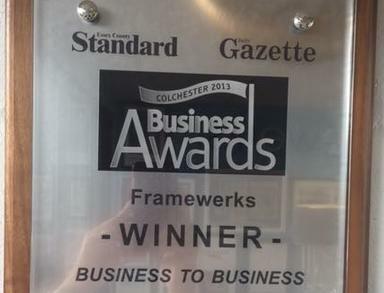 Today Framewerks operates from premises at the Seedbed Centre, Wyncolls Road. 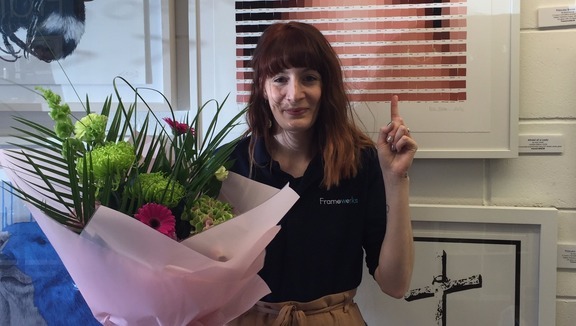 Framewerks level of experience, knowledge and honest business ethic has ensured a second to none service, advice and craftsmanship for bespoke and commercial picture framing for the home, office or exhibition.